Take the card wherever you go and get huge discounts to theaters, restaurants, and more! The pass itself is good! But the problem was that the barcode was not working! It’s frustrating to ask for help to open the gate every time!!! Access a number of sights and attractions in Amsterdam—cash-free! Take your pick from 4 passes and get easy admission to a long list of attractions for 24, 48, 72, 96, or 120 hours. You don't have to go through the hassle of redeeming each admission ticket or paying at the gate at some attractions, too! 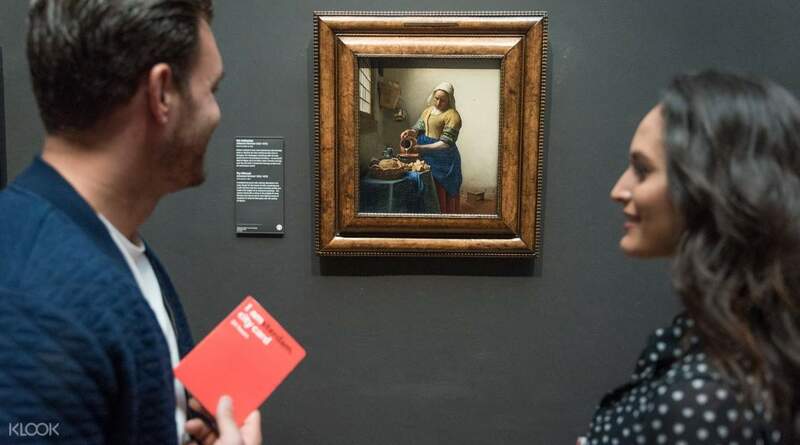 The I amsterdam Travel Card grants you entry to the Van Gogh Museum, NEMO Science Museum, Hermitage Amsterdam, and more, as well as unlimited use of GVB public transport. You can even go on a canal cruise for the perfect opportunity to explore Amsterdam from the water. 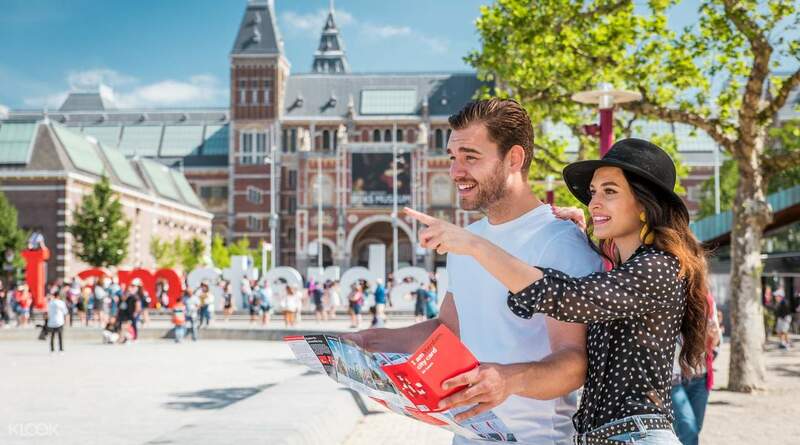 With the I amsterdam Travel Card, you can enjoy amazing discounts, special offers, giveaways—and a detailed city map so you won't get lost in the "Venice of the North"! It’s totally worth it. We went to six museums and one canal cruise. Plus all the GVB transportations via metro, bus and tram. But be aware that the railway is not included in the package. Museums activation is separated from transport activation. Discounted price of some attractions doesn’t activates the card. It’s just good la. It’s totally worth it. We went to six museums and one canal cruise. Plus all the GVB transportations via metro, bus and tram. But be aware that the railway is not included in the package. Museums activation is separated from transport activation. Discounted price of some attractions doesn’t activates the card. It’s just good la. Very convenient. You can ride all modes of transportation within the city and skipping the line to access the museums.. Very convenient. You can ride all modes of transportation within the city and skipping the line to access the museums.. Highly recommended card when you're traveling to Amsterdam! The card is accepted everywhere and it worked perfectly on every bus, tram, and metro we used it on. We saved a lot of money. We collected our cards when we arrived at Amsterdam Central. No fuss. :) It's a must-get if you’re coming to Amsterdam! Highly recommended card when you're traveling to Amsterdam! The card is accepted everywhere and it worked perfectly on every bus, tram, and metro we used it on. We saved a lot of money. We collected our cards when we arrived at Amsterdam Central. No fuss. :) It's a must-get if you’re coming to Amsterdam! I exchanged my voucher in the central station and was a breeze. Highly recommend buying this if you plan to do a lot of activities in a day. van gogh museum was not available for us at the time bec you need to have the card first to be able to book a slot, sadly it was fully booked. I exchanged my voucher in the central station and was a breeze. Highly recommend buying this if you plan to do a lot of activities in a day. van gogh museum was not available for us at the time bec you need to have the card first to be able to book a slot, sadly it was fully booked. Easy to purchase and collect from the airport. Staff were friendly and informative. This little card is super handy for getting around the city and getting in to a lot of the tourist attractions. Money well spent! Easy to purchase and collect from the airport. Staff were friendly and informative. This little card is super handy for getting around the city and getting in to a lot of the tourist attractions. Money well spent! i Amsterdam city card was very useful. i Amsterdam city card was very useful. Worth every cent! And the canal cruise is amazing. Worth every cent! And the canal cruise is amazing.